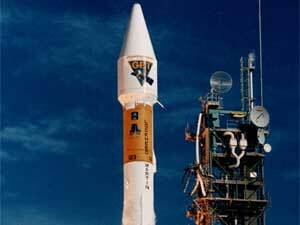 Atlas II is a member of the Atlas family of launch vehicles, which evolved from the successful Atlas intercontinental ballistic missile (ICBM) program. It is designed to launch payloads into low earth orbit, geosynchronous transfer orbit or geosynchronous orbit. Atlas IIs are launched from Cape Canaveral Air Force Station, Fla., by the 45th Space Wing. 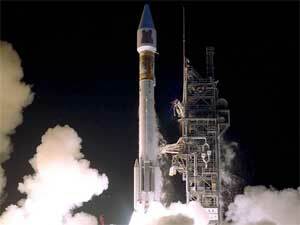 The final West Coast Atlas II launch was accomplished December 2003 by the 30th Space Wing, Vandenberg AFB, Calif.